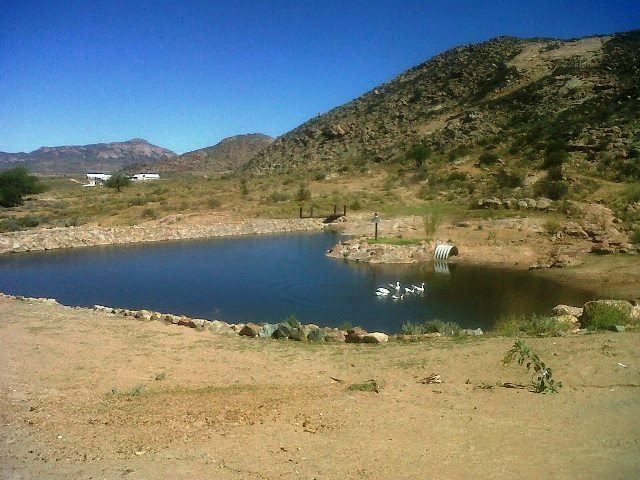 Namastat Lodge and Caravan Park offers comfortable accommodation situated just outside of Springbok. 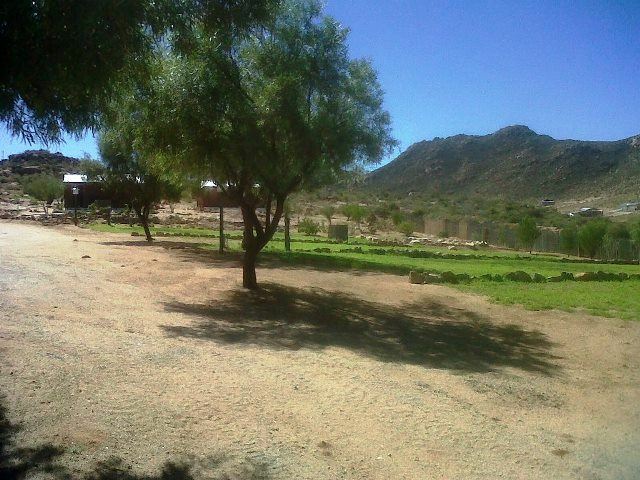 It lies in a narrow valley surrounded by the Koperberg Mountains, in the heart of the Namaqualand. 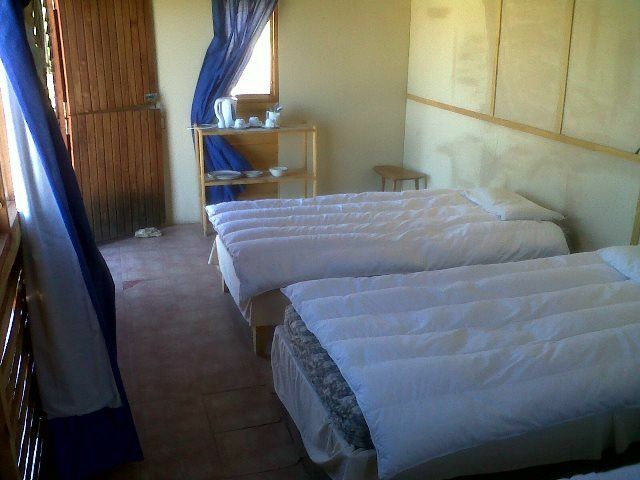 It is the last major town before Namibia and it is known as the flower capital.<br /><br />We offer four Bungalows with double or single beds and 22 Campsites, all sharing the ablution facilities. All the campsites have electricity points and water taps. There is a communal kitchen and a braai area for great entertainment.<br /><br />The attractive town of Springbok is formed around a central hill, known by locals as Klipkoppie/Stone Hill, that was used by the Boers during the Second Boer War as a fort for its incredible vantage point. Views from here across the valley are beautiful, as are the examples of flowers during spring every year that not only blossom on the little hill but in the surrounding scrubland as well. The hill is also the site of a modest stone church built in 1921, and remains of the walls of the original fort. "Very kind people at the check-in." 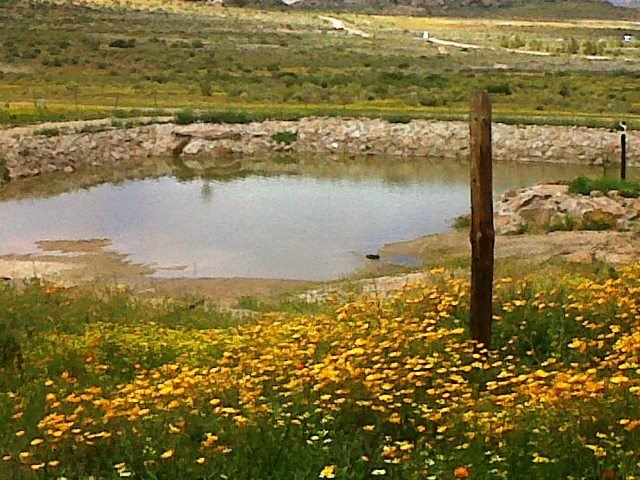 "from camp site to park run at springbok the view with sunrise will remain good memory thank you"
"Camping at Namastat caravan park"
"My husband & I spent a night camping at this caravan park, enroute to Cape Town.We were welcomed by a sweet, friendly little ginger cat. He gave me a tour of the campsite! It is beautifully laid out, & ablution block immaculately clean & neat, with really nice showers." "The peace and quiet and the friendly staff!!" "We enjoyed our stay. Staff was very helpful and friendly. Restaurant food very good and the atmosphere was great. Will be our stop and sleep over next time we visit Namibia." "Helaas konden we de lodge niet vinden en zijn toen maar doorgereden naar een volgende plaats." "We did not stay at the Namastat due to the bad conditions ofthe bungalos. Firstly the managerestreated us like dirt when we complaint about the bungalos. The bedding was in abad Condition, few teaspoons in a rusted jam tin, holes in the wall as big as adinner plate, Dirty sofa outside the bungalow. It was embarrassing because we hadguest from overseas. 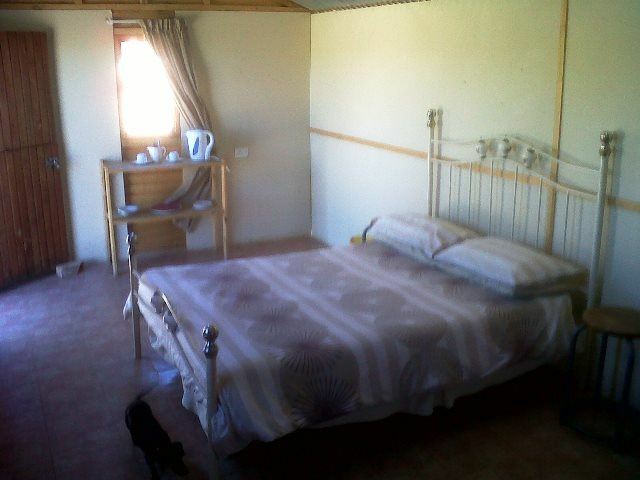 We had to pay extra money to let the guest stay atKokerboom motel which was neat and had good service. I also want to say thatthe manager at Namastat Jonathan was very helpful and understanding. We spoketo him after his wife treated us so badly." "Very cool clean and nice"
"Hi .First of all the direction are incorrect you have to turn right not left at oval ,the bungalows are not complete ,the duvaet is so thin if we did not have our sleeping bags would have frozen to death , no water in side have to go to garden tap to fill kettle , while separate kitcen was clean there are no pot and pans to use . do not recommend place maybe as a camp site ablutions very clean with ample hot waterhave photo of inside but cannot attach"
"The directions were good..it was easy to find. Our welcome was warm and friendly. The other"residents" were helpful and friendly. The only real complaint is that there was no longer blankets on the beds..we had one very thin duvet, and froze.also there was no hot water in the kitchen for washing dishes." "The place is very clean, charming and designed with loving attention to detail. The friendly and warm welcome of the owners made us feel at home immediately, we had a wonderful stay here, thank you very much!"